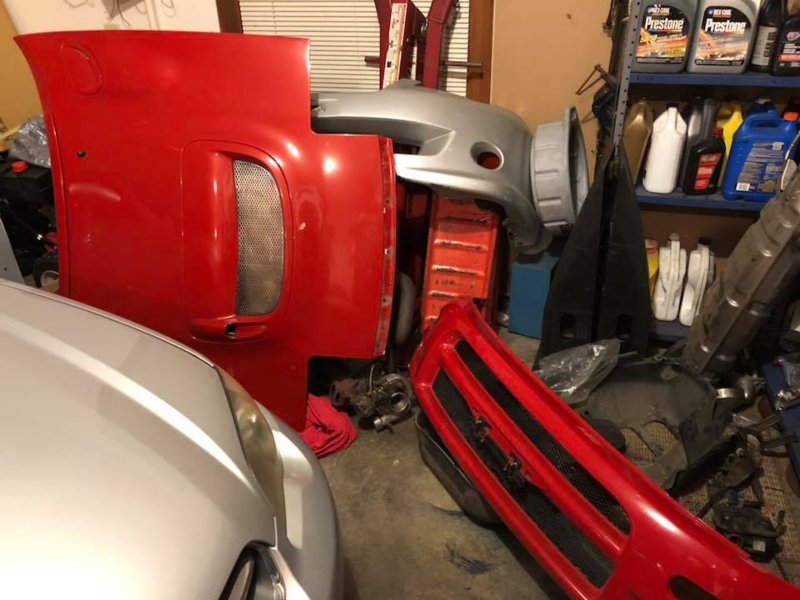 Picked up an OE CS/RC hood and bumper. Car will be getting a ST246 swap with FMIC. Hood should help the cooling situation. The CS/RC hood is designed to remove heat from the engine compartment. Did you change the intercooler from air:air to water:air? If not, how are you cooling your turbocharged air charge to the throttle body? You are really modding your find there, Hoys. Congrats on the find! That's great looking '92 you got there! get poly or OEM style diff mount from ebay and I have good luck with those. Also, a note on timing belt for the Celica. removing the engine mount help tremendously and the website twosrus.com have studs you can buy for the tensioner and you can cut 2.5 hrs for timing belt change to maybe 1 hour. when It comes to shocks, I lucked out with a full set of Koni yellow and HR springs at the local autowrecker 3 days after I found my Celica but alternative to that, I would say coilovers as shocks for the alltrac is non-existant anywhere as most shocks are for the FWD model. I've said it in other threads, but if you opt for BC coilover, get the swift spring upgrade. Its a night and day difference to the stock coil over springs. And yes, the rear struts are almost non existent. I do remember a thread where somewhere in Europe they sell kyb? Rear struts for our cars. I dont remember exact details though. Magroo wrote: And yes, the rear struts are almost non existent. I do remember a thread where somewhere in Europe they sell kyb? Rear struts for our cars. I dont remember exact details though. it is not as heavy as the all trac? I bought the KYB Excel-G before I got a hold of the Koni. so decided to try the KYB first. RC crash bar came in today. Good quality. Time to get the body parts painted now.